Practice makes perfect and nothing prepares you better than Remington Target ammo. 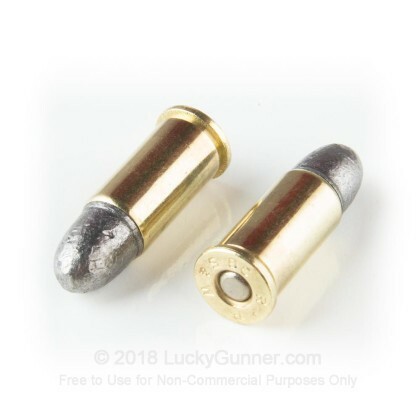 This load is specifically designed for target shooting with its low recoil and lead round nose bullet design. The lead round nose projectile provides good weight retention and moderate expansion. 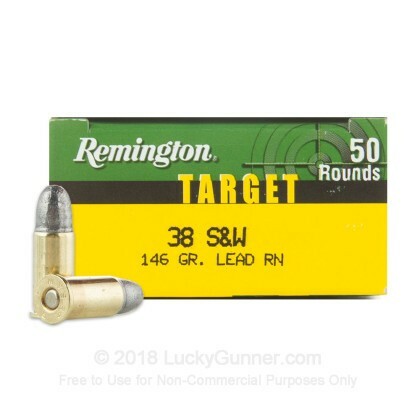 Next time you're at the range honing your skills, don't forget to bring this 38 S&W target ammo! 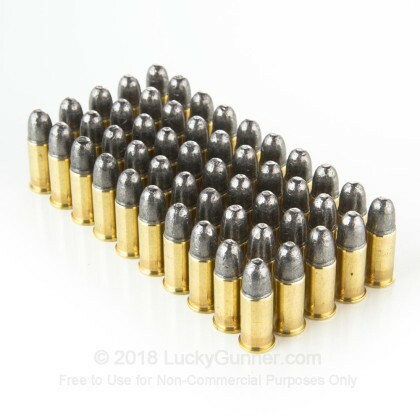 This ammo is brass-cased, boxer-primed, non-corrosive and re-loadable. 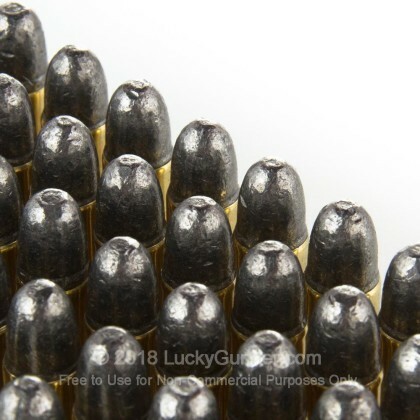 You guy's rock!, your professionalism A+, you guy's had a hard to find caliber in your inventory ("Wow") along with all the new Ammo including an accurate ETA, overall a wonderful experience, I would recommend that you try these guy's out for all your ammo and gun needs. Great Transaction & a Pleasure to deal with. Recommend! Thanks for providing hard to find rounds like this .38 S&W. I'll keep checking back as you are the only site (so far) that I have found to actually have this caliber. Most other sites are always on backorder or don't have. I'm new to the hand gun world.Pleased with your prices and quick service. Have fired both the 22 LRN target rounds and the 38 S& W. Pleased with both. Q: Is there a difference between Remington 38 S&W Target and Express? Posted On: 4/17/19 By: Mark D.
A: Hi Mark. The Target line up is optimized for target shooting and tends to be slightly more accurate while the express is a softer lead bullet and tends to expand a bit more. In reality, you will see very very little difference between the two on the range. Q: Can 38 S&W ammo be used instead of 38 Special ammo in a 357 Magnum revolver? 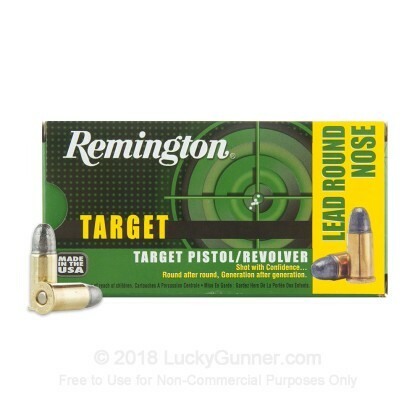 A friend gave me a box of this Remington ammo but I don't know if will work in my Dan Wesson 357 revolver. A: Although people have claimed to shoot 38 S&W from a 357 magnum, it is not recommended. The casing and bullet diameter is such that it should not chamber properly. Also, the 38 S&W cartridge is a very under-powered round compared to 38 Special.